Active Adult Community: This type of community is perfect for those who have emptied the nest and want to live a lifestyle that allows for travel and greater freedoms. 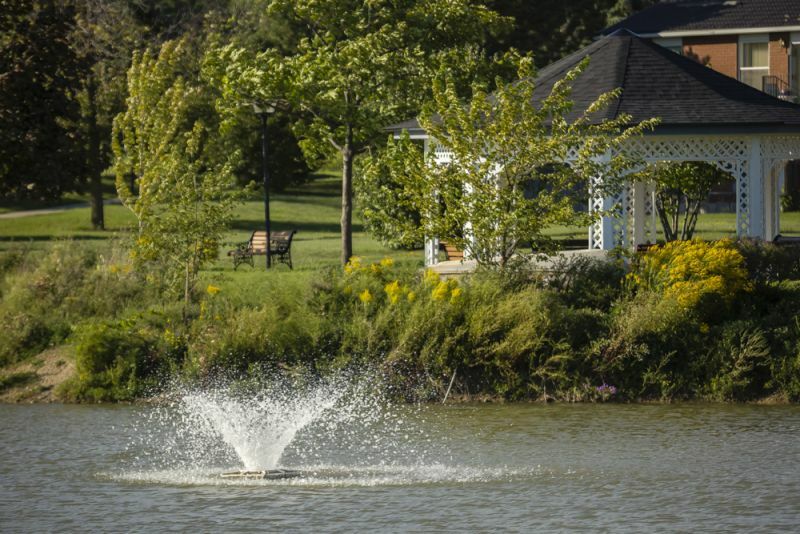 These resort-style neighbourhoods often include onsite sports and recreation. Coming Soon! Upper Mill Pond. The Village at St. Elizabeth Mills brings exciting resort-style living to Hamilton. At its centre, a delightful village with invigorating indoor and outdoor recreational activities. Retail and entertainment amenities will offer residents an unsurpassed lifestyle. 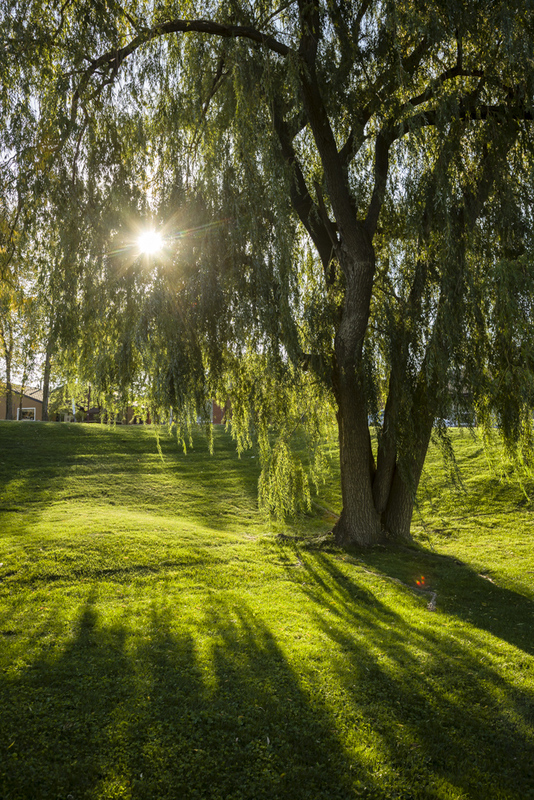 Hamilton’s Hidden Gem offers beauty and convenient access to all of the many nearby amenities in Hamilton. All in a gated community where friends are neighbors. It’s All Here! Live with Zest! Suites and finishes can be customized to taste. 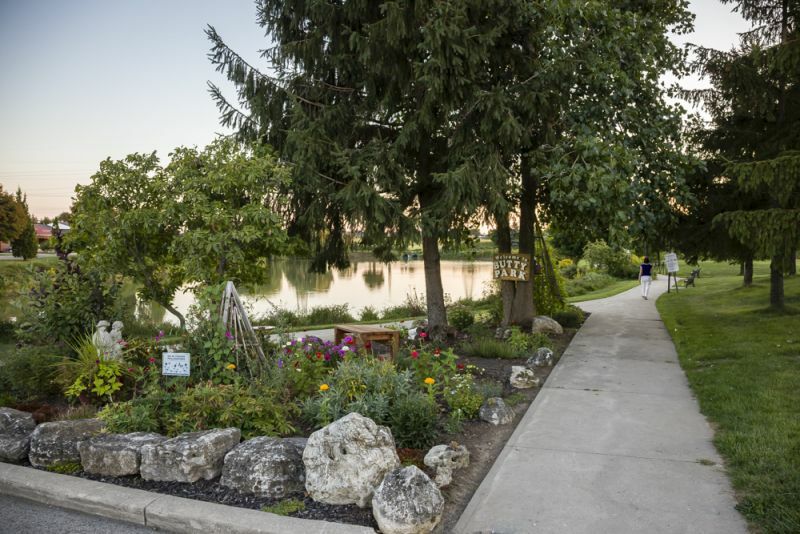 Ideally situated on the Niagara Escarpment. 80 km from Toronto. Close to shopping, fine dining, entertainment and the Hamilton airport. A vibrant commercial centre at the heart of The Village at St. Elizabeth Mills will offer residents and guests a dynamic place to shop, dine, entertain and play. Our design team at FORREC (the internationally acclaimed architects of well-known recreational properties throughout the world) has recently released new plans for the Town Square that will be located at the centre of The Village. Central to the plan is the creation of a vibrant downtown resort that seamlessly integrates commercial and residential services, amenities and entertainment. Here residents and guests will have the opportunity to meet, dine, shop and play in an authentic “village” atmosphere that is both quaint and convenient. 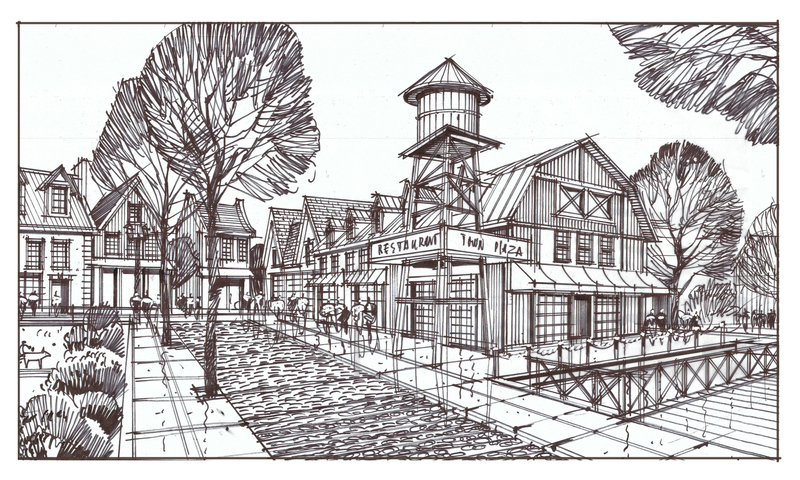 The Old Mill Building in the Town Square is the focal point of the newly created “restaurant alley” that will feature five distinct restaurants. Other attractions of the Town Square include specialty retail stores, a boutique hotel, health and wellness services and a Market Hall plus banquet hall/auditorium. The lifestyle experience that the Town Square will offer is unlike anything else out there. It is a groundbreaking set of amenities – the first of its kind in Canada – destined to change the concept of “retirement” living forever. Residents of The Village at St. Elizabeth Mills will have the luxury of an upscale, upmarket and uptown area within a stroll of their home. Everything one needs to live a convenient and quality life is right here. Stay tuned! More exciting news is coming. 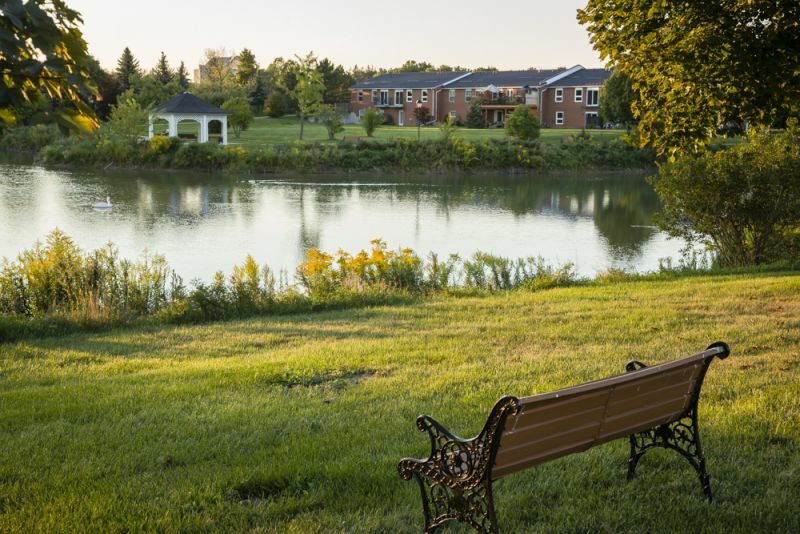 On February 2014 ownership and management of St. Elizabeth Village was passed into the hands of South Mountain Inc. and Nova Care, a not-for-profit organization that now manages St. Elizabeth Village. The new owners are very excited by the opportunity to offer residents a rejuvenated and more vibrant village with a greater quality of life. Improvements include a dramatic renovation and redesign of the Garden Homes plus the modernization of the Retirement Residence. 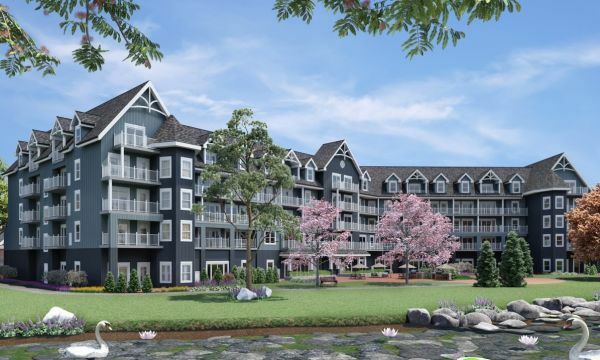 In addition refurbishment plans for various amenities and facilities throughout the Village include the Trillium Club and Edelweiss. NovaCare has also introduced an improved Market Value Life Lease Ownership option for those who want to invest in a Garden Home today while preserving their equity for tomorrow. A new era of improved quality, comfort and vibrancy has just begun for Hamilton’s Best Kept Secret! Today the Village offers you more than ever. More services, more amenities, more support for living a healthy independent life. 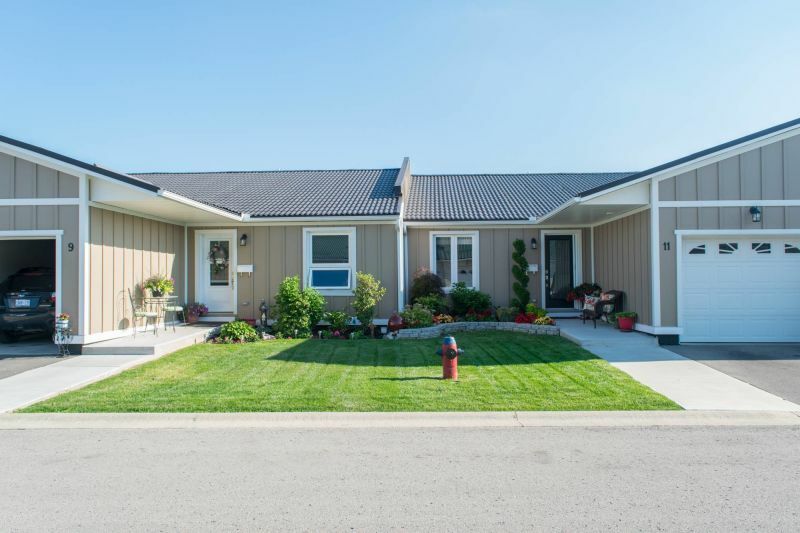 The new Market Value Life Lease ownership option for Garden Homes means smart retirement planning where residents are able to protect their investment and earn a return. Interested in The Village at St. Elizabeth Mills?